Ambiorix led a small Belgian tribe to victory over the Roman Empire. It was the greatest and most humiliating military defeat ever suffered by Julius Caesar and his soldiers. 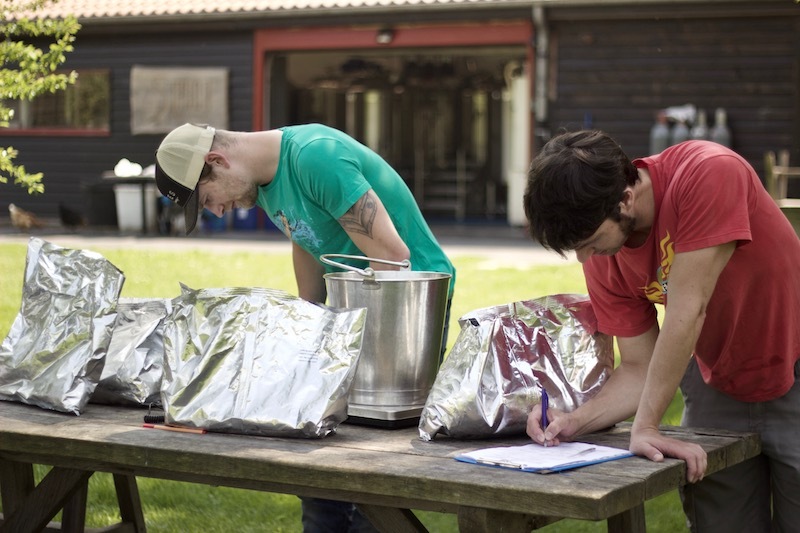 Our 100th brew—Centurion—is a collaboration to mark our second birthday. In the words of Caesar himself: "Horum omnium fortissimi sunt Belgae,"—"Of all these, the Belgians are the strongest. We poured our first beers in July 2016. 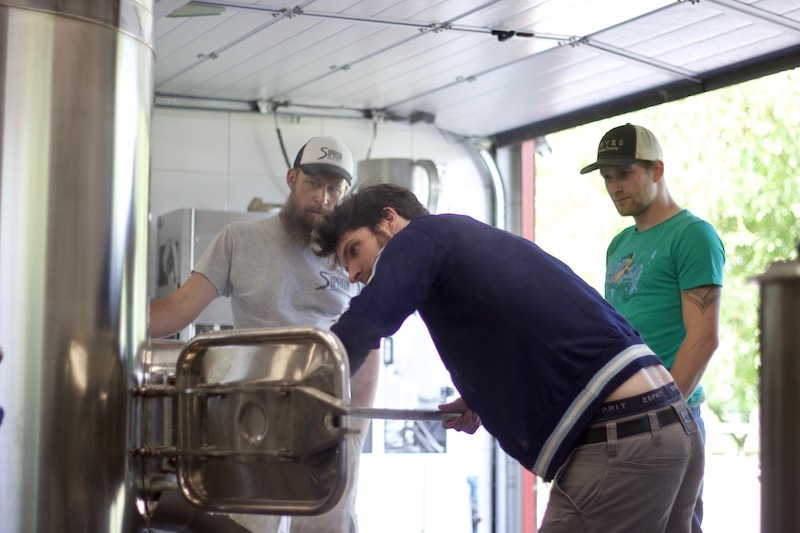 Before we knew it, we were heating water and mashing in on our 100th brew at Siphon Brewing. We’ve been brewing commercially for almost two years. 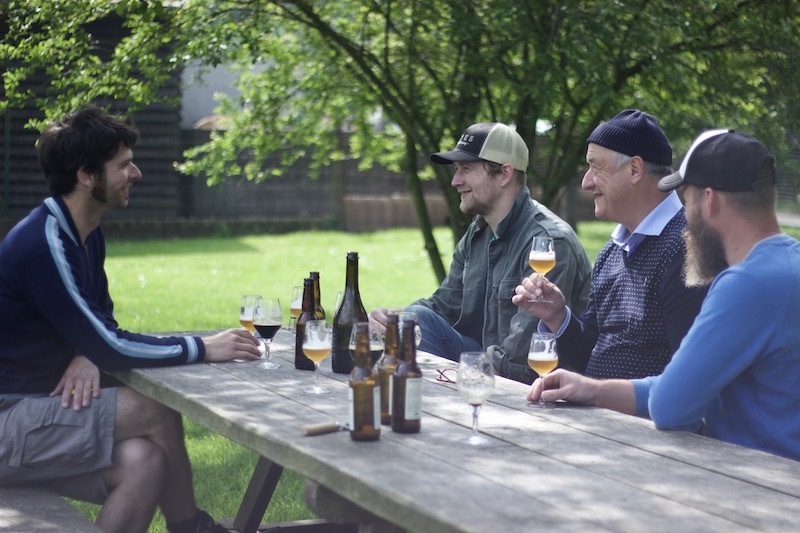 To celebrate that fact and to prepare something special for our second birthday party on Saturday 14th July in Damme, we asked some friends whether they would brew a beer with us. 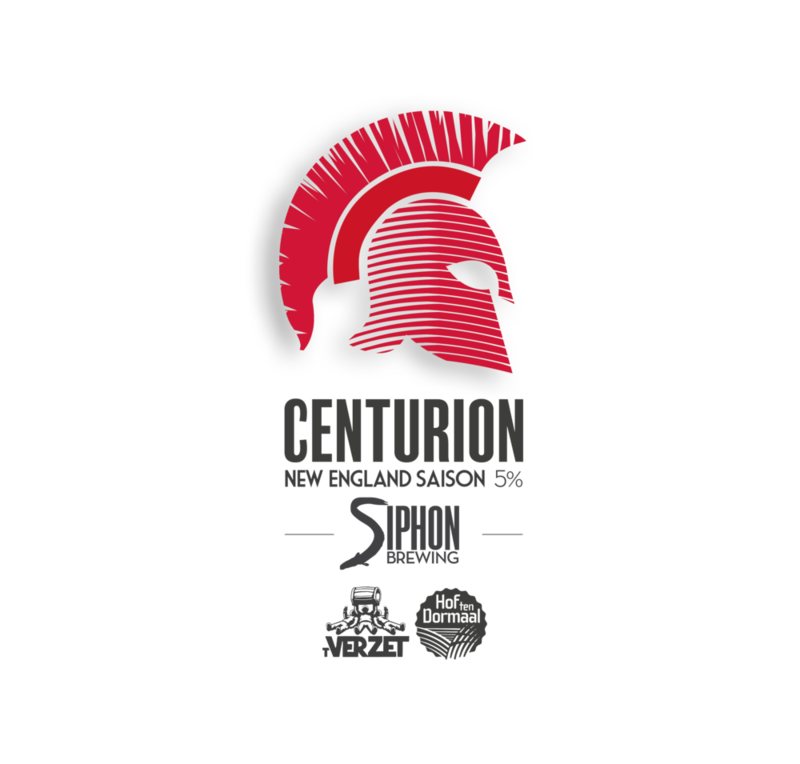 Centurion is a “New England Saison”, a stylistic choice which we feel marks both our international outlook and our respect for Belgian tradition. On a base of the soft, biscuity flavours of a relatively classic Saison malt bill (pils, munich, dark wheat, light wheat, barley flakes, oat flakes), we’re combining the citrus qualities of our yeast strain with the tropical and stone fruit juiciness associated with the “New England” moniker, not to mention its low bitterness, late and dry hop additions in huge quantities and fruit juice hop haze. Brouwerij ‘t Verzet—in the shape of Koen Van Lancker—came along and brought Ella, a punchy Australian variety with big grapefruit flavours and aromas backed up by notes ranging from floral to earthy to spicy. Brouwerij Hof ten Dormaal—represented by Jef Janssens—contributed Hüll Melon hops, a German aroma variety with intense notes of honeydew melon and strawberry. 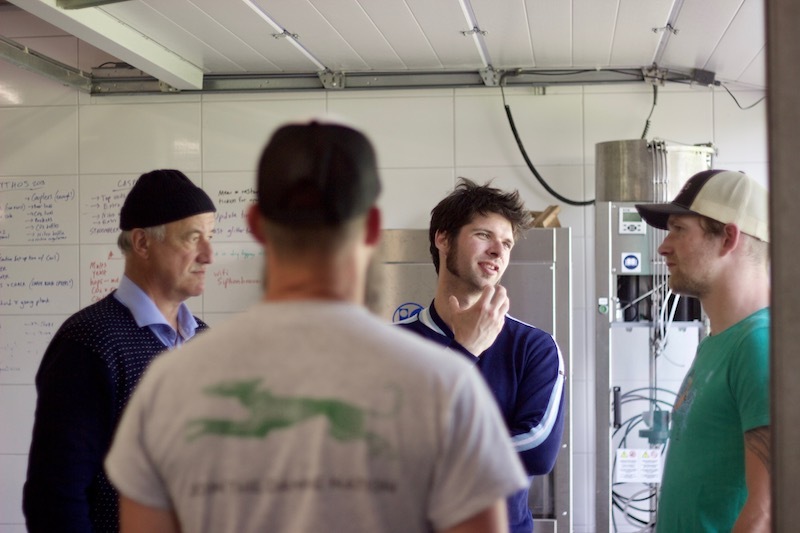 Armand Debelder—whose father took him to eat at the Siphon when he was a child—joined us to offer much appreciated advice on brewing and on life in a brewery. He didn’t bring any hops. Centurion is a one-off beer packaged exclusively in keg to be poured at our second birthday party. Malt: pils, munich, dark wheat, light wheat, oat flakes, barley flakes.